Global ECU remap leader Superchips has introduced a conversion for the Audi TT RS model that improves the already-exceptional performance even further. Using a turbocharged version of the 2.5-litre EURO6 petrol engine, the latest TT RS dubbed FV/8S, running on Bosch engine management, leaves the factory with an impressive 400PS. Following careful development, the Superchips remap adds a very useful 49bhp at 4722rpm and a superb 117Nm torque at 2103rpm. Not only does this enhance the TT RS’s already lively performance, it improves driveability in more normal, day-to-day use. The Superchips remap smoothes out a gradual dip in the original engine’s torque curve, so the remapped engine not only gains torque but also, better delivery. In addition, the electronic speed limiter, specified on the original engine, can be removed for cars destined for motorsport use. The conversion can be performed by one of Superchips’ highly skilled worldwide dealers, at a cost of £599 including labour and VAT (prices correct at time of publishing, but are subject to variation in the future). There are well documented concerns among owners of the 1.2 Non-turbo EU6 variant of this engine, particularly at low RPM when pulling away from a standstill or on an incline. After significant research and development work, Superchips are proud to announce a conversion which addresses the throttle response issues on the Fiat 500 1.2 EU6 version, which enables a much smoother and easier driving experience.. There is also a modest power increase for such a small, non-turbocharged engine of 5 BHP at 4074RPM and 9Nm at 4132RPM. The power and torque curves represent gains at full throttle but road tests show that the improvements are even more noticeable at part-throttle driving, completely curing the issues experienced when pulling away or driving up an incline. The conversion is carried out by one of Superchips nationwide dealer network and typically takes around an hour. Customers can either wait at the dealer or drop off their car and return later to collect. The cost of the Fiat 1.2 remap is £229 including VAT and labour, although regional variations may apply. The conversion is covered by Superchips’ 12-month/30,000-mile warranty*. Owners of the diminutive Fiat Twinair can now experience additional performance, thanks to the latest addition to the range from global ECU remap specialists, Superchips. The turbocharged two-cylinder engine used in the 500 and Panda variants produces 85PS in original trim but the Superchips conversion adds a useful 10bhp at 3729rpm and a healthy slug of additional torque – 16Nm – at 3156rpm. The result is excellent for such a small, two cylinder engine and while the results look good on paper, they are even more impressive on the road. The power and torque curves represent gains at full throttle but road tests show that the improvements are even more noticeable at part-throttle driving, making the Twinair not only much more fun and rewarding to drive, it is also more relaxing around town. The conversion is carried out by one of Superchips nationwide dealer network and typically takes around an hour. Customers can either wait at the dealer or drop off their car and return later to collect. The cost of the Fiat Twinair remap is £365 including VAT and labour, although regional variations may apply. The conversion is covered by Superchips’ 12-month/30,000-mile warranty*. Drivers of Mercedes models using the company’s successful two-litre turbo petrol engine can now enjoy improved performance and thanks to this addition to the Superchips portfolio. The global ECU remap leader has introduced a conversion which adds to the engine’s already impressive 184PS output when used in the W212 E-Class, as well as other models through the range. The Superchips remap increases power by 68bhp at 4755rpm and torque by a very impressive 101Nm at 4672rpm. This combination improves driveability with the additional torque at the lower and middle of the engine’s rev range while the increase in power provides benefits in acceleration for safer overtaking and more relaxed cruising. The conversion can be carried out by one of Superchips’ highly skilled nationwide dealers, at a cost of £399 including labour and VAT. The conversion is covered by Superchips’ industry-leading 12-month/30,000-mile warranty*. Owners of the Scirocco turbocharged petrol model from Volkwagen with the latest EU6 2.0 TSI 180PS engine can now experience greatly-improved performance thanks to the latest ECU remap from global leader, Superchips. Leaving the factory with 180PS, the remap from Superchips delivers an astonishing 82bhp extra to the 2000cc engine at 3921rpm and a very useful 154Nm torque increase at 3701rpm. The increases will improve both performance and driveability, with power increasing generally as well as the curve continuing to climb further than the original engine. This gives rise to greatly improved acceleration for a more rewarding drive and greater safety, for example when overtaking. The increase in torque also means that the car will be more driveable in everyday conditions, thanks to the additional effort available from the engine. The conversion is carried out by one of Superchips nationwide dealer network and typically takes around an hour. Customers can either wait at the dealer or drop off their car and return later to collect. The cost of the Volkswagen Scirocco remap is £399 including VAT and labour. The conversion is covered by Superchips’ 12-month/30,000-mile warranty*. Drivers and operators of the fourth generation of the Mitsubishi L200 light commercial model can now enjoy improved performance and potentially, savings in fuel cost thanks to the latest addition from global ECU remap leader Superchips. Models using the 2.5-litre EURO 5 emissions specification, 4D56 turbodiesel engine, running on Denso management and developing 178PS, can experience significant gains throughout the rev range. Power is increased by a very healthy 27bhp at 2914rpm while torque increases by a huge 69Nm at 2585rpm, right where it will make the biggest difference. The shape of the power and torque curves with the Superchips remap mirrors those of the original engine perfectly but shifted upwards, meaning no change to the engine’s characteristics, other than the increased output. The gains in the low to mid range mean that cruising is more relaxed, as is general driving while overtaking and towing will be safer thanks to the additional power available. The engine is available in the pickup and crew-cab versions of the L200, meaning all operators, whether light commercial or workhorse, can enjoy gains in fuel economy of up to 7% when driven in a comparable manner to pre-conversion. The conversion is carried out by one of Superchips nationwide dealer network and typically takes around an hour. Customers can either wait at the dealer or drop off their van and return later to collect. 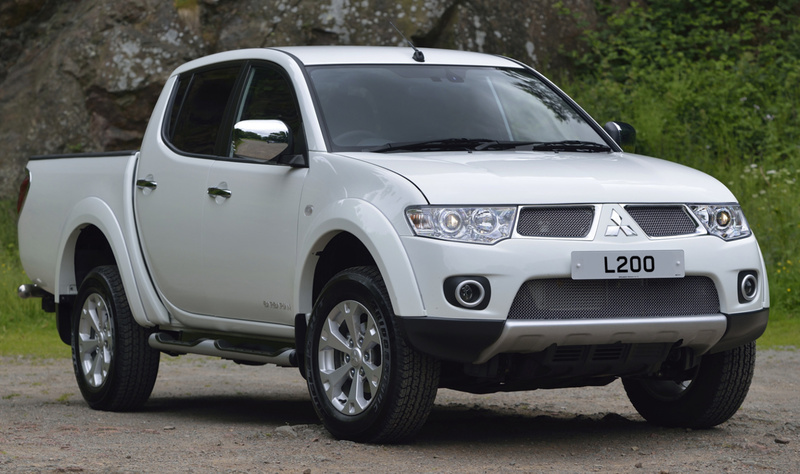 The cost of the Mitsubishi L200 remap is £365 including VAT. The conversion is covered by Superchips’ 12-month/30,000-mile warranty*. 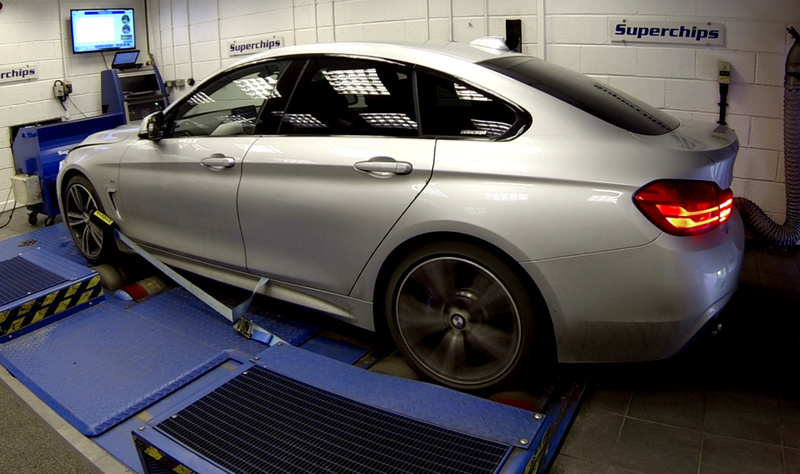 Owners of cars from the BMW range of 28i engines, using the two-litre, turbocharged four-cylinder petrol engine can now enjoy significant gains in performance, thanks to the latest conversion from global ECU remap expert, Superchips. The engine, fitted with Bosch management and found in the Z4, X1, X3, X4, 228i, 328i, 428i, and 528i vehicles, leaves the factory with a healthy 245PS. However, the Superchips remap adds a very impressive 50bhp at 6579rpm and 84Nm torque at 2553rpm. Not only does the Superchips conversion demonstrate increases across the engine’s rev range, it also holds on to torque far longer and at a much higher level than the original engine. This means a significant improvement in performance, with acceleration greatly improved. The conversion is carried out by one of Superchips nationwide dealer network and typically takes around an hour. Customers can either wait at the dealer or drop off their car and return later to collect. The cost of the remap is £399 including VAT and labour. The conversion is covered by Superchips’ 12-month/30,000-mile warranty*. *Terms and conditions apply. See website for details.